Ready to run in the black? 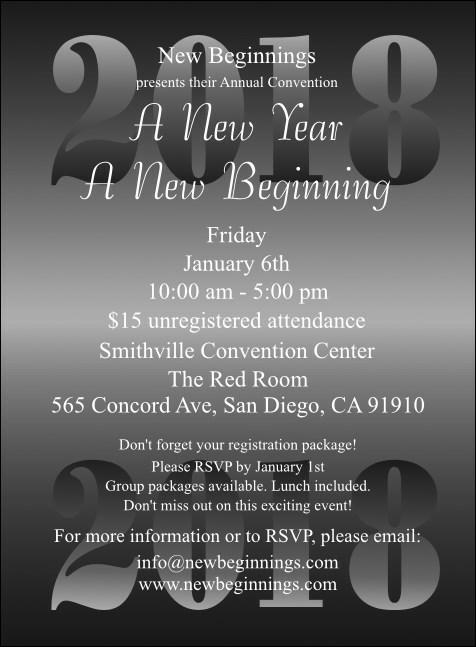 Advance your organizational interests with some advance publicity in the form of this Black Year Invitation. Address your fund raising issues head-on with the matching Year Event Kit templates in ethereal gray scale, with a year background and room to include all your event details. TicketPrinting.com invites you to peruse our online template gallery for plenty of inviting designs.